Join us for French country fare, superbly matched wines and stimulating conversation as we celebrate the makers and leaders in Australian Agriculture. 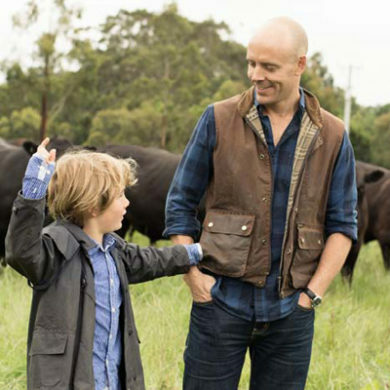 Hear from leading tastemakers, Tim Elphick (Portsea Estate) and Tim O’Connor (O’Connor Beef & Mornington Prime Cuts) as they discuss cool climate winemaking and Australia’s dynamic beef export market in a spirited and conversational fashion. Chef Patrice Repellin’s favourite Autumn fare will feature renowned O’Connor Beef in a shared table experience with matched wine from Portsea Estate. An evening not to be missed!